Proc SQL is often used to retrieve information from a SAS table. Copy and run the code from the yellow box below to get the SCHOOL table. 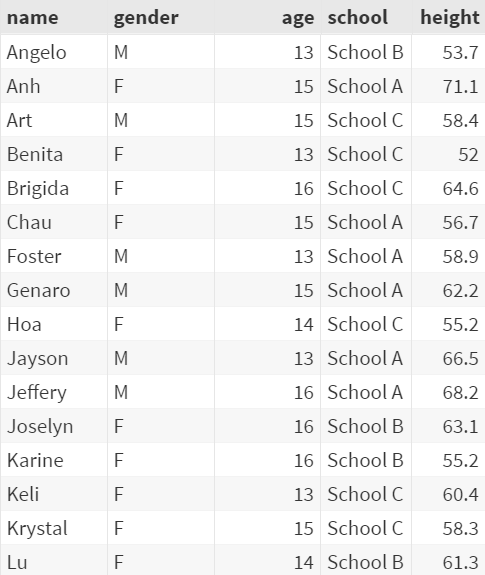 The SCHOOL table contains a list of students and their respective age, gender, school and height. 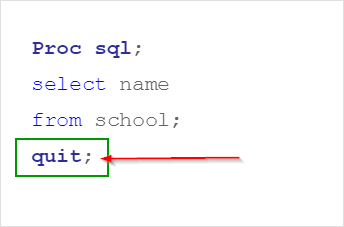 Proc SQL is fairly simple and straightforward. 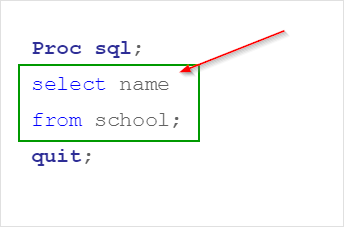 In order to retrieve the NAME column from the SCHOOL table, you simply tell SAS to select the NAME column from the SCHOOL table. Let's go back to the code for a moment. 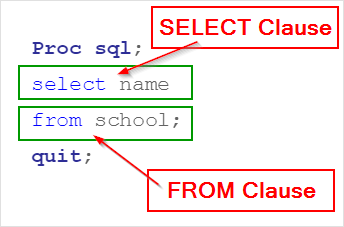 The SELECT clause selects the NAME column from the SAS table. 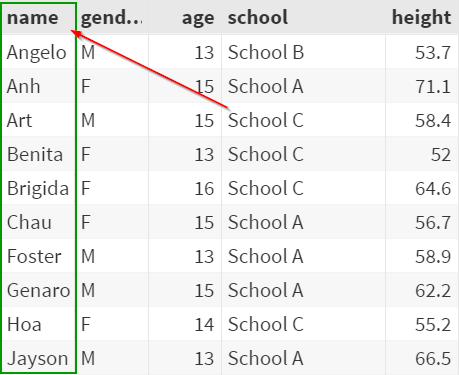 The FROM clause specifies the SCHOOL table as the source of the data. Together with the SELECT clause and FROM clause, you can retrieve any columns from a SAS table. Write a Proc SQL step to retrieve the list of car models from the CARS table. ​The car models are captured in the MODEL column.